We’ve got great news for all you budget travellers! 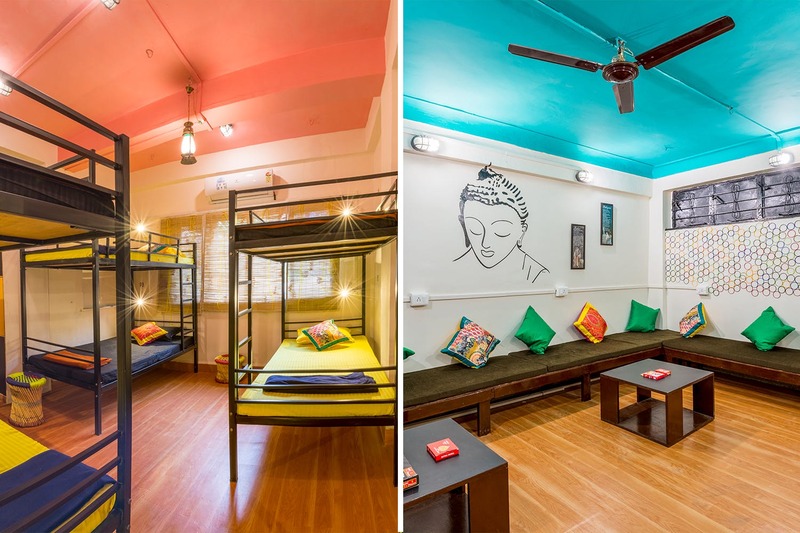 Bombay Backpackers have opened their first hostel in the city, in Koregaon Park! Located within proximity of the Osho Meditation Resort, the hostel features a lot of meditation/spiritual-themed decor and wall art. Their 4 dorms (with 6 beds in each) are named ‘Creativity’, ‘Love’, ‘Celebration’, and ‘Meditation’. Each dorm has its own shared bathroom and is air-conditioned – except for the Meditation dorm, which is not air-conditioned. The two private rooms here are named ‘Poona Ashram’ and ‘Antelope’ (after the town in Oregon), and each come with their own en-suite bathroom. In the spacious backyard of Bombay Backpackers’ ground floor, they’ve also introduced tent accommodation – weather permitting – with 3 private tents (for 2 people each) and one larger dorm-style shared tent. Breakfast is free, and the rates are super pocket-friendly. Their introductory fares are INR 399 for a non-AC dorm bed, INR 499 for an AC-dorm bed, and INR 2000 per private room. These fares will increase within the next 20 days or so, but they will still be very affordable. In the basement of the hostel, is a huge common area where you can relax and hang out with your dorm-mates. Board Games and other activities are on-hand as well. There’s also an attached kitchen and dining area, and you’re welcome to share the fridge and do some of your own cooking. Laundry service is available at an extra charge, but they will be installing their own washing machine in the coming month. Ironing services are free of charge, as are breakfasts! A private locker is provided to each person, where you can store your belongings while you’re out of the hostel. Bombay Backpackers also has a dedicated concierge for all your travel needs. If you feel like a weekend getaway from Pune, Bombay Backpackers also has a hostel of their own in the nearby hill station of Matheran, here.